INC SOUND MOD AND OPTISAN 4-12X40 SCOPE PACKAGE DEAL, CAN SELL RIFLE SEPARATE, PLS RING FOR PRICE. INC SOUND MOD AND OPTISAN 4-12X40 SCOPE PACKAGE DEAL, CAN SELL RIFLE SEPARATE , PLS RING FOR PRICE. Guns can also be viewed at our Lady's Wood location near Bath by prior request. 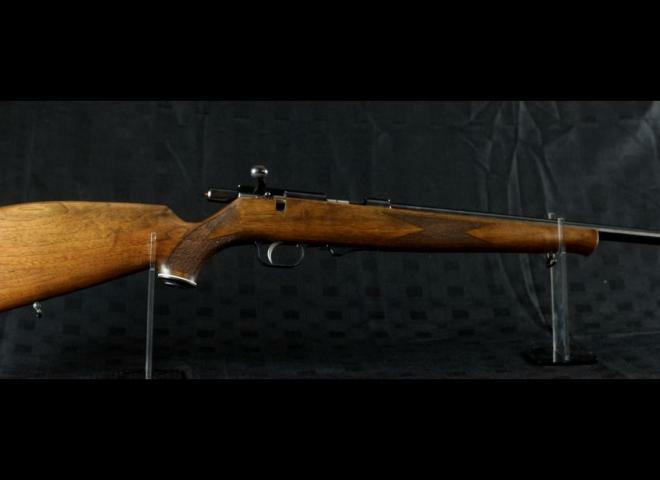 With classic walnut thumbhole stock, Fishscale checkering on grip and forend, 16" varmint barrel threaded for moderator (1/2" UNF), Crisp two stage trigger. 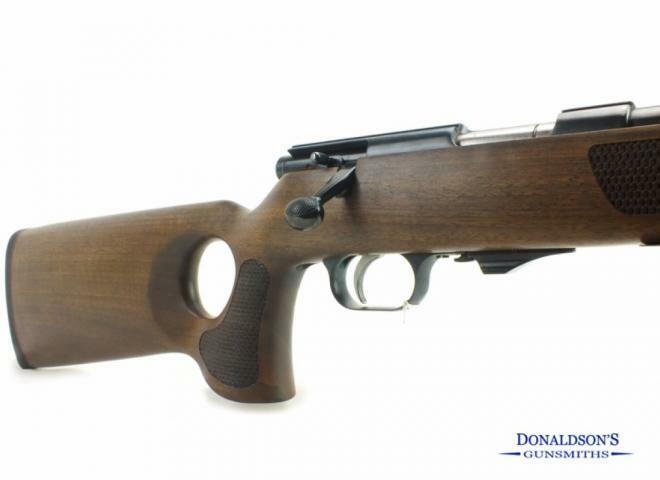 This rifle has a 18" Heavy barrel and comes with a walnut thumbhole stock. The HW66 has a classic ambidextrous thumbhole walnut stock, two stage trigger and varmint barrel, screw cut to 1/2 unf. 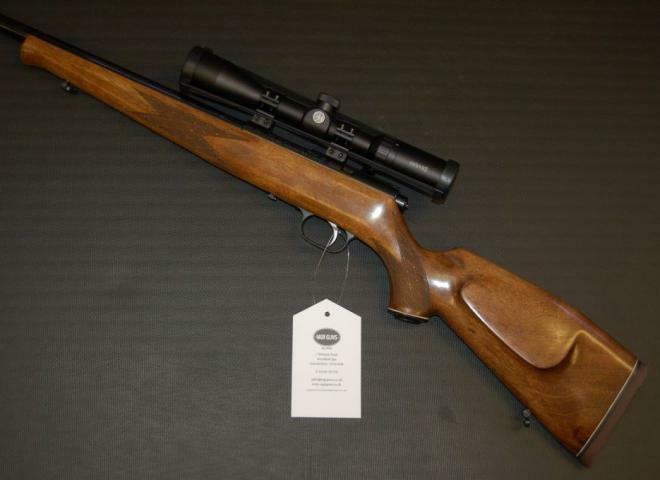 Weihrauch .17 HMR HW 66 Walnut Thumbhole. Very high quality rifle. excellent value. Finance Now available with 12,24 or 36 month period with a minimum 10% deposit at 19.9% APR. The perfect rifle for shooting pests, vermin and small game. The HW60J has a heavy barrel but is still ligjht and incredibly well balanced. Please ask about suitable moderator and scope to put on.